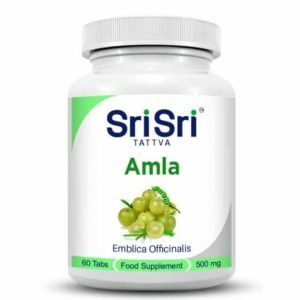 Ayurvedic herbal tablet that helps purify the blood, liver function and skin. 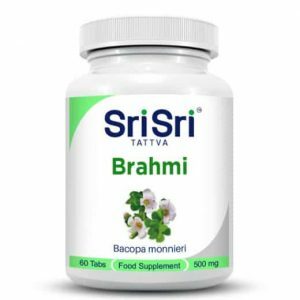 Sri Sri Tattva’s Neem – The secret to great skin is not only the use of external personal care products. 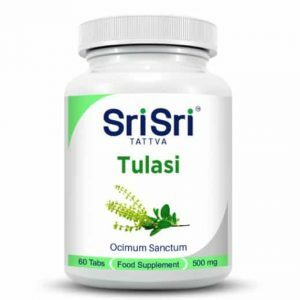 For healthy and glowing skin the body has to be detoxified regularly. 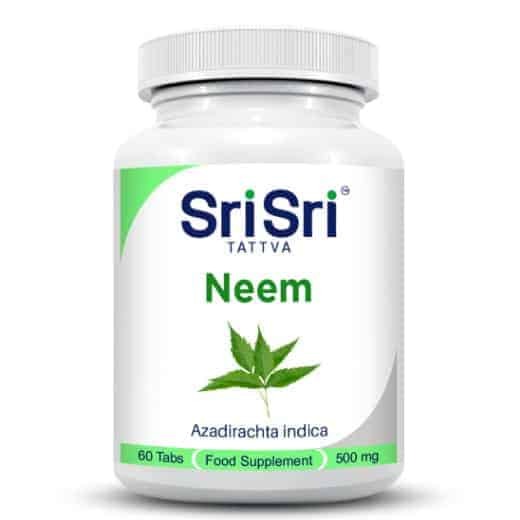 Sri Sri Tattva’s Neem tablets purify the blood and hence keep your body healthy and your skin glowing and supple. Neem is mentioned in most Ayurvedic formulations for the treatment of skin disorders because of its detoxifying properties. 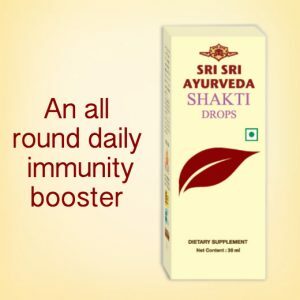 The growth of acne-causing bacteria is inhibited by Neem. The antioxidant and reduction of gastric acid production properties of the Neem are effective in healing ulcers.